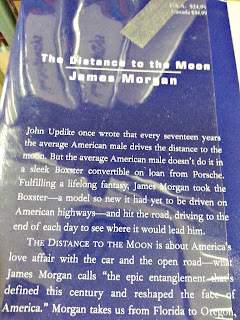 John Updike wrote that every seventeen years the average American male drives the distance to the moon. James Morgan explores this theory and America's love affair with the car and the open road. 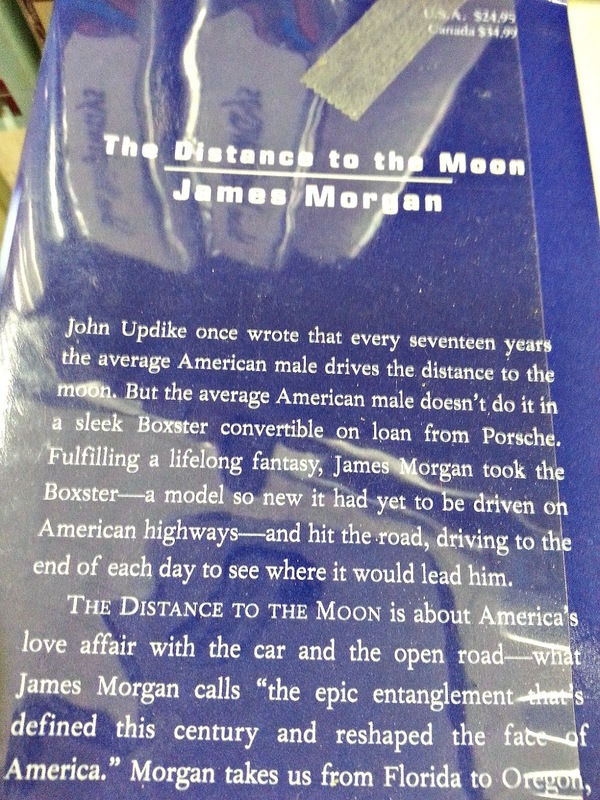 His chronicles his trip from Oregon to Florida in his book, The Distance to the Moon. building the roads for, fueling, financing, insuring and maintaining cars. Today much of our economy depends on maintaining a built environment specifically for cars. Also in the video, Paul Steely White, Transportation Alternatives, talks about the alluring promise of the automobile and the comfortable easy lifestyle it has created where we forgot that people need to to walk. At the recent conversations at the Imagine Tallahassee events, there were a great number of locals talking about walking and biking, connecting greenways and parks and the need to make Tallahassee a more walkable city. Oh, yes, and there needed to be some place to go with something to do at the end of your walk. Sounds like Tallahassee residents want to have a reason to get out of their cars. The website walkscore.com rates Tallahassee as 'car dependent' with a walkability score of 39 out of 100, noting most errands require a car. The top zip code for walking is 32301 ranked 50. Boston, New York City and San Francisco are all noted as walkable cities, but their dense urban population is no comparison for Tallahassee. What part of Tallahassee is a candidate for becoming a walkable district, at least? Midtown? It has restaurants, bars, coffee shop, retail stores, banks, bookstore (.02 miles), Star Metro Stop, Lake Ella (.07 miles), Publix (.08 miles + harrowing street crossing), Lafayette Park (.01 miles). Invest money where it can do the most good Ask "Where can spending the least money make the most difference?" Also, check out Walk Steps with comprehensive strategies for improving a community's walkabillity and AmericaWalks.org with more facts, resources and great step by step 'how to's' with projected costs for adoption and everybodywalks.org. Bike Tallahassee has an overlay map linking biking and walking paths. See this post on the Sales Tax Extension and walkable Tallahassee. An urban bike route system was recently proposed by the Committee for a Bikeable Community (CBC), which is a committee created by the local non-profit Capital City Cyclists. This proposed network would create eight major routes with a total length of 104 miles using existing bicycle facilities and low‐traffic roads to throughout the urban area of Tallahassee. Tom Clark, recent speaker at Sustainable Tallahassee's Green Drinks documented that it is possible to get around Tallahassee by walking and/or biking. Is Tallahassee moving toward a walkable city? If one walks downtown is there anything to do other than dine after 5 PM? Will the upcoming Walgreens store on the corner of Tenessee and Monroe increase walkability? Or will it create another traffic hazard for entering and exiting cars? Are we walking to get somewhere or walking solely for recreation? Would we ever get over our love affair with the car?